ACCESSORY CHROME PACKAGE, AMG® CARBON FIBER / BLACK PIANO LACQUER TRIM, TRAILER HITCH, BANG & OLUFSEN BEOSOUND SOUND SYSTEM, REAR SEAT ENTERTAINMENT SYSTEM. Recent Arrival! The AMG® GLS 63 SUV is the ultimate performance SUV. It seats seven and answers to no one. High-end refinement meets high-tech innovation meets high-adrenaline performance, AMG®-style of course. Just one listen to the exhaust tone of the AMG® exhaust and one look at the refined interior and exterior that exudes performance, and you'll fall in love. Power is plentiful in this SUV. With a handcrafted AMG® 5.5L V8 biturbo engine under the hood, you get 577 horsepower, 561 lb-ft. of torque, and a 0-60 in only 4.5 seconds. That being said, you'll have plenty of fun in this SUV whether you are taking it on the highway for a long trip, out and about on the town, or if you end up on the racetrack. The AMG® GLS 63 guarantees exhilaration.ACCESSORY CHROME PACKAGE, AMG® CARBON FIBER / BLACK PIANO LACQUER TRIM, TRAILER HITCH, BANG & OLUFSEN BEOSOUND SOUND SYSTEM, REAR SEAT ENTERTAINMENT SYSTEM. The AMG® GLS 63 SUV is the ultimate performance SUV. It seats seven and answers to no one. High-end refinement meets high-tech innovation meets high-adrenaline performance, AMG®-style of course. Just one listen to the exhaust tone of the AMG® exhaust and one look at the refined interior and exterior that exudes performance, and you'll fall in love. Power is plentiful in this SUV. With a handcrafted AMG® 5.5L V8 biturbo engine under the hood, you get 577 horsepower, 561 lb-ft. of torque, and a 0-60 in only 4.5 seconds. That being said, you'll have plenty of fun in this SUV whether you are taking it on the highway for a long trip, out and about on the town, or if you end up on the racetrack. The AMG® GLS 63 guarantees exhilaration. MULTIMEDIA PACKAGE, AMG® NIGHT PACKAGE, PARKING ASSISTANCE PACKAGE, PANORAMA ROOF, LED HEADLAMPS & TAILLAMPS, BURMESTER SURROUND SOUND SYSTEM, AMBIENT LIGHTING. Recent Arrival! The AMG® GLC 43 Coupe dominates any road in any season. With the extra utility that is present in all Mercedes-Benz SUVs and SUV Coupes, paired with the performance drive of AMG®, you can take on anything that's on the road ahead of you in the AMG® GLC 43 Coupe. The AMG® GLC 43 Coupe stands out strong both inside and out, featuring signature AMG® body styling. AMG® Performance 4MATIC® all-wheel drive, as well as a standard AMG® Sport Suspension. Paired together with the AMG®-enhanced 3.0L V6 biturbo engine, you'll never want to stop driving the vehicle. Boasting a 0-60 acceleration in 4.8 seconds, you'll definitely be exhilarated every time you put your foot on the gas pedal. The AMG® GLC 43 Coupe performs well in style as well, featuring flared side sills, 20-inch AMG® wheels, and a chrome diamond-block grille on the exterior of the vehicle. Driving down the street in the AMG® GLC 43 Coupe, you'll be sure to turn heads in this beauty! The interior cabin is just as mesmerizing as the exterior, boasting exclusively sculpted sport seats, DINAMICA micro suede, and red topstitching. It's an interior cabin that perfectly executes performance and precision. With the AMG® GLC 43 Coupe, there is no sacrificing sportiness and performance for utility.MULTIMEDIA PACKAGE, AMG® NIGHT PACKAGE, PARKING ASSISTANCE PACKAGE, PANORAMA ROOF, LED HEADLAMPS & TAILLAMPS, BURMESTER SURROUND SOUND SYSTEM, AMBIENT LIGHTING. The AMG® GLC 43 Coupe dominates any road in any season. With the extra utility that is present in all Mercedes-Benz SUVs and SUV Coupes, paired with the performance drive of AMG®, you can take on anything that's on the road ahead of you in the AMG® GLC 43 Coupe. The AMG® GLC 43 Coupe stands out strong both inside and out, featuring signature AMG® body styling. AMG® Performance 4MATIC® all-wheel drive, as well as a standard AMG® Sport Suspension. Paired together with the AMG®-enhanced 3.0L V6 biturbo engine, you'll never want to stop driving the vehicle. Boasting a 0-60 acceleration in 4.8 seconds, you'll definitely be exhilarated every time you put your foot on the gas pedal. The AMG® GLC 43 Coupe performs well in style as well, featuring flared side sills, 20-inch AMG® wheels, and a chrome diamond-block grille on the exterior of the vehicle. Driving down the street in the AMG® GLC 43 Coupe, you'll be sure to turn heads in this beauty! The interior cabin is just as mesmerizing as the exterior, boasting exclusively sculpted sport seats, DINAMICA micro suede, and red topstitching. It's an interior cabin that perfectly executes performance and precision. With the AMG® GLC 43 Coupe, there is no sacrificing sportiness and performance for utility. MULTIMEDIA PACKAGE, AMG NIGHT PACKAGE, 19" AMG® TWIN 5-SPOKE BLACK WHEELS, AMG® PERFORMANCE EXHAUST SYSTEM, PANORAMA ROOF, BURMESTER SURROUND SOUND SYSTEM. Recent Arrival! The AMG® C 43 aims to thrill...and succeeds in thrilling! This is all thanks to its AMG®-enhanced 3.0L V6 bi-turbo engine, paired with exciting performance technology. This pairing makes the AMG® C 43 accelerate to 0-60 mph in around 4.6 seconds, and provides 362 horsepower and 384 lb-ft of torque. With these impressive statistics, you'll have plenty of fun driving it. Besides the engine performance, the AMG® C 43 boasts handsome looks as well. With an aggressively elegant exterior design thanks to AMG® body styling and a chrome diamond-block grille, this is a vehicle that can be admired by all that lay eyes on it. However, performance and exhilaration is not limited to just what's under the hood and what the exterior looks like. The interior of the AMG® C 43 also provides you with excitement and thrills! The interior's main focus is performance, like the rest of the car. With brushed aluminum foot pedals, red seatbelts, an AMG® Sport steering wheel, and much more, your day will instantly get more exciting the minute you sit inside the vehicle.MULTIMEDIA PACKAGE, AMG NIGHT PACKAGE, 19" AMG® TWIN 5-SPOKE BLACK WHEELS, AMG® PERFORMANCE EXHAUST SYSTEM, PANORAMA ROOF, BURMESTER SURROUND SOUND SYSTEM. MULTIMEDIA PACKAGE, PARKING ASSISTANCE PACKAGE, AMG CARBON FIBER TRIM, AMG PERFORMANCE EXHAUST SYSTEM, PANORAMA ROOF, LED HEADLAMPS & TAILLAMPS, 21" AMG® TWIN 5-SPOKE WHEELS WITH BLACK ACCENTS, BURMESTER SURROUND SOUND SYSTEM. Recent Arrival! The AMG® GLC 43 dominates any road in any season. With the extra utility that is present in all Mercedes-Benz SUVs, paired with the performance drive of AMG®, you can take on anything that's on the road ahead of you in the AMG® GLC 43. The AMG® GLC 43 stands out strong both inside and out, featuring signature AMG® body styling. AMG® Performance 4MATIC® all-wheel drive, as well as a standard AMG® Sport Suspension. Paired together with the AMG®-enhanced 3.0L V6 biturbo engine, you'll never want to stop driving the vehicle. Boasting a 0-60 acceleration in 4.8 seconds, you'll definitely be exhilarated every time you put your foot on the gas pedal. The AMG® GLC 43 performs well in style as well, featuring flared side sills, 20-inch AMG® wheels, and a chrome diamond-block grille on the exterior of the vehicle. Driving down the street in the AMG® GLC 43, you'll be sure to turn heads in this beauty! The interior cabin is just as mesmerizing as the exterior, boasting exclusively sculpted sport seats, DINAMICA micro suede, and red topstitching. It's an interior cabin that perfectly executes performance and precision. With the AMG® GLC 43, there is no sacrificing sportiness and performance for utility.MULTIMEDIA PACKAGE, PARKING ASSISTANCE PACKAGE, AMG CARBON FIBER TRIM, AMG PERFORMANCE EXHAUST SYSTEM, PANORAMA ROOF, LED HEADLAMPS & TAILLAMPS, 21" AMG® TWIN 5-SPOKE WHEELS WITH BLACK ACCENTS, BURMESTER SURROUND SOUND SYSTEM. PARKING ASSISTANCE PACKAGE, AMG® ILLUMINATED DOOR SILLS, AMG® PERFORMANCE EXHAUST SYSTEM, AMG® TRACK PACE APPLICATION, HEATED AND VENTILATED FRONT SEATS, PANORAMA SUNROOF. Recent Arrival! 21/28 City/Highway MPG The E-Class has been a classic example of groundbreaking innovation from Mercedes-Benz. The AMG® E 53 Sedan infuses this innovation with the pioneering performance engineering of AMG®, for those that have passion for innovation, as well as a drive for exhilaration. The AMG® E 53 boasts an AMG®-enhanced 3.0L inline-6 turbo engine with EQ Boost that outputs an impressive 429 horsepower with 384 lb-ft of torque. Furthermore, the AMG® E 53 can go 0-60 in 4.4 seconds! With more additional performance features such as AMG® Performance 4MATIC® all-wheel drive, and an AMG® SPEEDSHIFT® TCT 9-speed transmission you will be sure to feel the power of the vehicle in every drive you take. The AMG® E 53 retains the classiness and sophisticated demeanor that is present in the E-Class, but adds a performance oriented twist to it. The AMG® body styling that is standard on the AMG® E 53 makes the vehicle aggressive, athletic, as well as artful. With lower bodywork, a chrome-tipped diamond-block grille, and sculpted side sills, you as well as others will have no choice but to stop and admire the beauty of the sculpted bodywork present in the AMG® E 53. The interior cabin also provides an equal balance of luxury and comfort, along with excitement and performance. The AMG® E 53 features a topstitched dash trim, galvanized shift paddles, and an AMG® sport steering wheel to further enhance the performance-sophistication fusion of the interior. With the AMG® E 53, you have both the worlds of performance and luxury in one vehicle.PARKING ASSISTANCE PACKAGE, AMG® ILLUMINATED DOOR SILLS, AMG® PERFORMANCE EXHAUST SYSTEM, AMG® TRACK PACE APPLICATION, HEATED AND VENTILATED FRONT SEATS, PANORAMA SUNROOF. The E-Class has been a classic example of groundbreaking innovation from Mercedes-Benz. The AMG® E 53 Sedan infuses this innovation with the pioneering performance engineering of AMG®, for those that have passion for innovation, as well as a drive for exhilaration. The AMG® E 53 boasts an AMG®-enhanced 3.0L inline-6 turbo engine with EQ Boost that outputs an impressive 429 horsepower with 384 lb-ft of torque. Furthermore, the AMG® E 53 can go 0-60 in 4.4 seconds! With more additional performance features such as AMG® Performance 4MATIC® all-wheel drive, and an AMG® SPEEDSHIFT® TCT 9-speed transmission you will be sure to feel the power of the vehicle in every drive you take. The AMG® E 53 retains the classiness and sophisticated demeanor that is present in the E-Class, but adds a performance oriented twist to it. The AMG® body styling that is standard on the AMG® E 53 makes the vehicle aggressive, athletic, as well as artful. With lower bodywork, a chrome-tipped diamond-block grille, and sculpted side sills, you as well as others will have no choice but to stop and admire the beauty of the sculpted bodywork present in the AMG® E 53. The interior cabin also provides an equal balance of luxury and comfort, along with excitement and performance. The AMG® E 53 features a topstitched dash trim, galvanized shift paddles, and an AMG® sport steering wheel to further enhance the performance-sophistication fusion of the interior. With the AMG® E 53, you have both the worlds of performance and luxury in one vehicle. AMG® NIGHT PACKAGE, SMARTPHONE INTEGRATION PACKAGE, AMG® PERFORMANCE EXHAUST SYSTEM, PANORAMA ROOF, LED HEADLAMPS & TAILLAMPS, BURMESTER SURROUND SOUND SYSTEM, AMBIENT LIGHTING. Recent Arrival! The AMG® GLC 43 dominates any road in any season. With the extra utility that is present in all Mercedes-Benz SUVs, paired with the performance drive of AMG®, you can take on anything that's on the road ahead of you in the AMG® GLC 43. The AMG® GLC 43 stands out strong both inside and out, featuring signature AMG® body styling. AMG® Performance 4MATIC® all-wheel drive, as well as a standard AMG® Sport Suspension. Paired together with the AMG®-enhanced 3.0L V6 biturbo engine, you'll never want to stop driving the vehicle. Boasting a 0-60 acceleration in 4.8 seconds, you'll definitely be exhilarated every time you put your foot on the gas pedal. The AMG® GLC 43 performs well in style as well, featuring flared side sills, 20-inch AMG® wheels, and a chrome diamond-block grille on the exterior of the vehicle. Driving down the street in the AMG® GLC 43, you'll be sure to turn heads in this beauty! The interior cabin is just as mesmerizing as the exterior, boasting exclusively sculpted sport seats, DINAMICA micro suede, and red topstitching. It's an interior cabin that perfectly executes performance and precision. With the AMG® GLC 43, there is no sacrificing sportiness and performance for utility.AMG® NIGHT PACKAGE, SMARTPHONE INTEGRATION PACKAGE, AMG® PERFORMANCE EXHAUST SYSTEM, PANORAMA ROOF, LED HEADLAMPS & TAILLAMPS, BURMESTER SURROUND SOUND SYSTEM, AMBIENT LIGHTING. AMG® NIGHT PACKAGE, SMARTPHONE INTEGRATION PACKAGE, PARKING ASSISTANCE PACKAGE, AMG® PERFORMANCE EXHAUST SYSTEM, ILLUMINATED STAR, PANORAMA ROOF, LED HEADLAMPS & TAILLAMPS. Recent Arrival! The AMG® GLC 43 dominates any road in any season. With the extra utility that is present in all Mercedes-Benz SUVs, paired with the performance drive of AMG®, you can take on anything that's on the road ahead of you in the AMG® GLC 43. The AMG® GLC 43 stands out strong both inside and out, featuring signature AMG® body styling. AMG® Performance 4MATIC® all-wheel drive, as well as a standard AMG® Sport Suspension. Paired together with the AMG®-enhanced 3.0L V6 biturbo engine, you'll never want to stop driving the vehicle. Boasting a 0-60 acceleration in 4.8 seconds, you'll definitely be exhilarated every time you put your foot on the gas pedal. The AMG® GLC 43 performs well in style as well, featuring flared side sills, 20-inch AMG® wheels, and a chrome diamond-block grille on the exterior of the vehicle. Driving down the street in the AMG® GLC 43, you'll be sure to turn heads in this beauty! The interior cabin is just as mesmerizing as the exterior, boasting exclusively sculpted sport seats, DINAMICA micro suede, and red topstitching. It's an interior cabin that perfectly executes performance and precision. With the AMG® GLC 43, there is no sacrificing sportiness and performance for utility.AMG® NIGHT PACKAGE, SMARTPHONE INTEGRATION PACKAGE, PARKING ASSISTANCE PACKAGE, AMG® PERFORMANCE EXHAUST SYSTEM, ILLUMINATED STAR, PANORAMA ROOF, LED HEADLAMPS & TAILLAMPS. MULTIMEDIA PACKAGE, PARKING ASSISTANCE PACKAGE, AMG® CARBON FIBER TRIM, AMG® PERFORMANCE EXHAUST SYSTEM, PANORAMA ROOF, LED HEADLAMPS AND TAILLAMPS, BURMESTER SURROUND SOUND SYSTEM. Recent Arrival! The AMG® GLC 43 dominates any road in any season. With the extra utility that is present in all Mercedes-Benz SUVs, paired with the performance drive of AMG®, you can take on anything that's on the road ahead of you in the AMG® GLC 43. The AMG® GLC 43 stands out strong both inside and out, featuring signature AMG® body styling. AMG® Performance 4MATIC® all-wheel drive, as well as a standard AMG® Sport Suspension. Paired together with the AMG®-enhanced 3.0L V6 biturbo engine, you'll never want to stop driving the vehicle. Boasting a 0-60 acceleration in 4.8 seconds, you'll definitely be exhilarated every time you put your foot on the gas pedal. The AMG® GLC 43 performs well in style as well, featuring flared side sills, 20-inch AMG® wheels, and a chrome diamond-block grille on the exterior of the vehicle. Driving down the street in the AMG® GLC 43, you'll be sure to turn heads in this beauty! The interior cabin is just as mesmerizing as the exterior, boasting exclusively sculpted sport seats, DINAMICA micro suede, and red topstitching. It's an interior cabin that perfectly executes performance and precision. With the AMG® GLC 43, there is no sacrificing sportiness and performance for utility.MULTIMEDIA PACKAGE, PARKING ASSISTANCE PACKAGE, AMG® CARBON FIBER TRIM, AMG® PERFORMANCE EXHAUST SYSTEM, PANORAMA ROOF, LED HEADLAMPS AND TAILLAMPS, BURMESTER SURROUND SOUND SYSTEM. PREMIUM 2 PACKAGE, LANE TRACKING PACKAGE, PARKING ASSIST PACKAGE, PIANO BLACK LACQUER TRIM, HEATED AND VENTILATED FRONT SEATS, PANORAMA ROOF, TRAILER HITCH, 3-ZONE AUTOMATIC CLIMATE CONTROL, BRUSHED ALUMINUM RUNNING BOARDS. Recent Arrival! The AMG® GLE 43 is a precise blend of utility, performance, and soul. With an AMG®-enhanced 3.0L V6 biturbo engine giving this SUV 385 horsepower and 384 lb-ft of torque, it just got even more exciting to drive an SUV! Also, with a 0-60mph time of 5.6 seconds in the AMG® GLE 43, you'll feel the thrill and excitement that AMG® engineers strive to provide in their vehicles. The excitement continues in the AMG® GLE 43 with standard features such as AMG® Performance 4MATIC® all-wheel drive, AMG® DYNAMIC SELECT, and an AMG® Sport Suspension based on AIRMATIC®. The looks of the AMG® GLE 43 is just as thrilling as its performance. The AMG® GLE 43 features a powerful front end with large air intakes and mesh grilles...perfect accenting for a performance SUV. The rear of the AMG® GLE 43 is just as aggressively sculpted featuring a black diffuser which frames four chrome tailpipes. In the interior you will find deeply contoured sport front seats, brushed-aluminum foot pedals, and the AMG® flat-bottom sport steering wheel. The exterior, interior, as well as the performance of the AMG® GLE 43 clearly convey a serious sport driving attitude.PREMIUM 2 PACKAGE, LANE TRACKING PACKAGE, PARKING ASSIST PACKAGE, PIANO BLACK LACQUER TRIM, HEATED AND VENTILATED FRONT SEATS, PANORAMA ROOF, TRAILER HITCH, 3-ZONE AUTOMATIC CLIMATE CONTROL, BRUSHED ALUMINUM RUNNING BOARDS. MULTIMEDIA PACKAGE, AMG® NIGHT PACKAGE, PARKING ASSISTANCE PACKAGE, AMG® PERFORMANCE EXHAUST SYSTEM, HEATED AND VENTILATED FRONT SEATS, PANORAMA ROOF. Recent Arrival! The AMG® GLC 63 will have you falling in love at first sight, as well as the first time you hear the grumble of the AMG® Performance Exhaust System. With a handcrafted AMG® 4.0L V8 biturbo engine, you'll get the most power in this SUV with 469-hp and a 3.9-second 0-60 time. Not to mention the looks of this SUV is just as exhilarating as the engine under the hood. You'll enjoy aggressive AMG® body styling that is pleasing to the eye, as well as the tasteful black accenting from the AMG® Night Package that will turn heads everywhere you go. The Panorama Roof stretches across the roof to give the sleek appearance of a glass roof, and is just as enjoyable on the inside.The inside exudes performance and aggressive styling just as the exterior does. The thick, flat-bottom AMG® Performance steering wheel offers a rewarding grip and a clear view of the exclusive instruments. The COMAND® Navigation System will navigate you efficiently and with ease, making any destination a breeze. The Heated and Ventilated Front Seats will keep you comfortable at any temperature. Brushed-metal pedals with rubber studs and AMG® floor mats underscore it all. The AMG® GLC 63 has the best of both worlds...performance and spaciousness.MULTIMEDIA PACKAGE, AMG® NIGHT PACKAGE, PARKING ASSISTANCE PACKAGE, AMG® PERFORMANCE EXHAUST SYSTEM, HEATED AND VENTILATED FRONT SEATS, PANORAMA ROOF. Not to mention the looks of this SUV is just as exhilarating as the engine under the hood. You'll enjoy aggressive AMG® body styling that is pleasing to the eye, as well as the tasteful black accenting from the AMG® Night Package that will turn heads everywhere you go. The Panorama Roof stretches across the roof to give the sleek appearance of a glass roof, and is just as enjoyable on the inside.The inside exudes performance and aggressive styling just as the exterior does. The thick, flat-bottom AMG® Performance steering wheel offers a rewarding grip and a clear view of the exclusive instruments. The COMAND® Navigation System will navigate you efficiently and with ease, making any destination a breeze. The Heated and Ventilated Front Seats will keep you comfortable at any temperature. Brushed-metal pedals with rubber studs and AMG® floor mats underscore it all. The AMG® GLC 63 has the best of both worlds...performance and spaciousness. Mercedes-AMG® vehicles are all about performance, style, and being the best. If you are looking for a vehicle that possesses these qualities, then look no further than a Mercedes-AMG® vehicle. 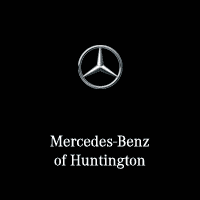 The Mercedes-Benz of Huntington AMG® Showroom provides Cold Spring Harbor, Huntington, and Northport drivers with an exclusive look at some of our best AMG® models. If you are looking to be exhilarated, stop by our AMG® Showroom today! You can also order the perfect AMG® vehicle you have been looking for through Mercedes-Benz of Huntington, if we should not have it in stock. When ordering an AMG® vehicle, you can hand-pick all the features, accessories, and components you want, and the vehicle will be built to your expectations straight from the factory. If you are interested in custom-ordering your next Mercedes-AMG® vehicle, be sure to contact us, or stop into our showroom at 1103 E Jericho Turnpike, Huntington, NY 11743 to speak to one of our knowledgeable Sales Consultants today!